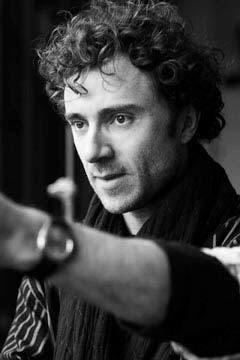 Thomas Heatherwick established Heatherwick Studio in 1994. Thomas is an Honorary Fellow of the RIBA and a Senior Fellow at the Royal College of Art. He is the recipient of honorary doctorates from four British universities – Sheffield Hallam, Brighton, Dundee and Manchester Metropolitan. He has won the Prince Philip Designers Prize and in 2006 was the youngest practitioner to be appointed a Royal Designer for Industry. Here we talk with Heatherwick Studio about their work on the New Bus for London. What inspired the design of the New Bus for London? It has been more than fifty years since someone was last commissioned to look in a comprehensive way at the design of London buses. Heatherwick Studio has been given this task and has developed a new design that reflects the functional requirements and challenges of making a new better bus for London. The bus is particularly special because the design is specific to London. For the first time the ‘look, feel and styling’ of the bus has been designed holistically. Some of the refinements of the design have resulted in the softening of the form, a return to a more calm and naturalistic usage of materials that echo qualities also identified with the Routemaster. The studio has also been keen to retain a sense of heritage in the design. What was your biggest challenge in designing the New Bus for London? The requirements of the new bus make for a slightly longer vehicle than current double deck buses. The studio’s main challenge was how to balance the design requirements with the practical and functional needs. To do this, the exterior form was carefully shaped to make a less box-like object. The most distinctive aspect of the design is the asymmetric ribbon window with its glass that wraps around the vehicle, expanding at the front to provide the driver with clear kerbside views, and following the two staircases as they rise upward to follow movements of a passenger. What is your favourite aspect of the bus? The studio has been keen to ensure that the new bus would be an integrated piece of design with exterior and interior working harmoniously. As a result, there are many details which we took a lot of time getting right. For example, we designed a ‘New Bus for London’ moquette. The pattern is derived from the sculpted typography of the seat, a bit like a map; the contour lines are derived from the undulating shape of the seat. The resulting rich pattern clearly denotes the individual seating positions whilst effectively masking day-to-day wear and tear. We also paid a lot of attention to the cab, and the driver experience too. We have tried to give the cab a sense of specialness whilst also providing a highly functional working environment. The old Routemaster was on the road for 60 years. How do you envision bus design in the next 60 years? The studio wouldn’t want to begin to predict how a bus might look in 60 years time bearing in mind the technological advancements of the last 60 years. However, it would be safe to say that future technology will impact on any future aesthetic design in the same way the most innovative, latest hybrid and environmentally friendly technology has been taken into account in the current design which will be of great benefit to all in London.